Pretend you are about to take an essay exam and are getting ready to answer the following question: what do Portuguese fado, Italian opera, and Música Popular Brasileira have in common? Give up? Many people would too. But think about it for a moment. Outside of the fact they’re all separate and distinct music styles, each with its own specific method of interpretation and delivery, what have these various genres given the world if not a wealth of extremely talented and versatile performers? In this piece, the focus will be on the successful careers of three of the most talented and versatile of these performers (only one of whom, by the way, is Brazilian by birth). They have dedicated their lives to incorporating aspects of the above entertainment areas. All share an unbounded admiration for Brazil’s music and culture, which they have wisely chosen to express in their own distinguishing manner. Her arms were extended outward, as if in gentle supplication to restless audience members to lend an attentive ear toward her wistful song. The look was both haughty and proud, the attitude one of openness and warmth, with a touch of simpatia tossed in. Her bearing was unwaveringly regal yet becoming of one whose build is so lean and slender. There was also the unmistakable air of the diva about her. It must have been the classic profile, the protruding chin, the dark complexion, and the magnificent blonde coiffure, its many endless and fascinating curls, like those of a face on an ancient Aegean vase, all intricately woven into unbroken lines across her faultlessly-formed features. Suddenly, the hallowed name of Maria Callas sprang to mind. While remembering the faded kinescopes of the once celebrated star of La Scala and other international opera houses, I was reminded of Portuguese singer Mariza’s striking resemblance to the immortal La Divina — and to the Divine One’s searing intensity and command of the operatic stage. In interviews granted throughout 2003, given concurrently with the release of her second album Fado Curvo (Times Square Records), the Lusitanian songstress, born Mariza dos Reis Nunes in Mozambique but raised in the Mouraria section of Lisbon, cited the revered Greek-American soprano Callas and her illustrious countrywoman, Amália Rodrigues, as pervasive influences on her own individualized take on contemporary fado. Having seen Mariza perform live and in concert on the campus of North Carolina State University’s Stewart Theatre, I can wholeheartedly agree. Though not strictly a Brazilian entertainment form, nor remotely related to traditional Western ideals of the operatic, this freely emotive and soulful style of singing has been with us for nearly two and a half centuries — much longer, in fact, than any of the standard repertory items of masters Verdi, Wagner, and Puccini combined. Most of all, there’s something grandly theatrical about the art itself — the hand gestures, the facial expressions, the song structures, the lyric flights of poetic fancy — that has lately transformed fado into a worthy successor to the almost-absent stage presentations of opera in Brazil’s own artistic firmament. Mariza’s devout following knows, too, that years before her recent world-music conquests, the rebellious future stage figure had visited Rio de Janeiro, the “holy shrine” of Carnival, where, as inevitable as the Copacabana tide, she became infatuated with the soothing sounds of samba and bossa nova, only to return to her adopted land as an invaluable dispenser of its native song collection. The search for one’s true calling in the entertainment field can be an excruciatingly nerve-wracking venture for any performing artist, let alone one of Mariza’s standing and repute. Relief came in the satisfaction she gleaned from having to face up to the style’s built-in challenges. “Fado is an emotional kind of music,” she proclaimed, “full of passion, sorrow, jealousy, grief, and often satire… I just want to sing.” And that she does well enough – particularly, on the darkly sentimental opening numbers, “O silêncio da guitarra” (“The Silence of the Guitar”) and “Cavaleiro monge” (“Monk Rider”), and the exuberantly festive “Feira de Castro” (“The Fair at Castro”). 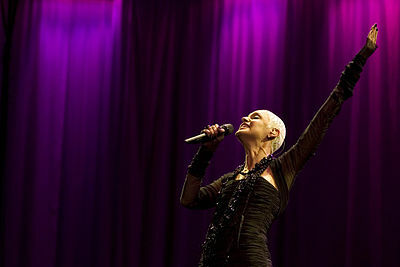 While leaning more towards tradition for her first album, Fado em Mim (“Fado in Me”), Mariza took a much freer approach to Fado Curvo, finding both refinement and nuance in the piano-and-cello accompaniment of “Retrato” (“Portrait”) and a softer pop side for “O Deserto,” before ending on a passionate note with “Os anéis do meu cabelo” (“Curls of My Hair”), a semi-autobiographical piece. Having gone about as far as a modern fadista could go in her profession, she decided to stretch herself even further by joining forces with acclaimed carioca-born arranger, musician, and producer Jaques Morelenbaum, a graduate of the New England Conservatory of Music, for her third go-around with the musical genre: the 2005 release of Transparente, also for Times Square Records. A veteran of several-hundred studio sessions, Jaques Morelenbaum has concentrated his own efforts on assisting quite a number of professionals with their recording projects — and with some of their live performances as well. Among the most notable are Antonio Carlos Jobim, Egberto Gismonti, Gal Costa, Chico Buarque, Milton Nascimento, David Byrne, Marisa Monte, and Carlinhos Brown, not to mention his work with directors Walter Salles Jr. and Gerald Thomas. This was exactly the kind of Brazilian connection Mariza was hoping for in her next musical venture. We, too, understand what Mariza was striving for, and where her aspirations currently lie: right now, they’re with her dynamic vision of fado. Fortunately for her fans, she’s left one foot dangling in the doorstep of the pop-music world, which is as it should be. That’s too few to please the masses. But on her own, Mariza has had no problem doing just that. It seems the fado standard has been placed in exceptionally capable hands with Mariza. Other contemporary practitioners of the form, such as Cristina Branco, Aldina Duarte, Kátia Guerreiro, Mísia, and Dulce Pontes, continue to hold up their end by keeping the flame of fado’s essence alive. While popular within their own country’s confines, they have yet to command the attention of outside audiences the way Mariza has, or to reach out beyond the borders of Lisbon’s famed Alfama district, the scene of numerous triumphs from Portugal’s past. One Portuguese artist who did reach out beyond Lisboa, and whose face and voice outside audiences have clearly grown accustomed to over the years, is the lovely Teresa Salgueiro, the former lead singer for the group Madredeus. Their music, which some critics have labeled as cloying and pretentious, comprises elements of traditional fado with touches of folk, tango, New Age, world-beat, Middle Eastern, flamenco, and other sources factored in. True to his family’s surname (which, in English, is rendered as Magellan, the Portuguese explorer who first circumnavigated the globe), guitarist, musician, and producer Pedro Ayres Magalhães, one of the group’s founding members, is the individual most responsible for its wide-ranging repertoire. “Fado is sung in the first person… telling sentimental stories,” Magalhães explained in a 1995 interview with New York Times writer Alan Riding. “Our themes are as universal as possible, talking about feelings, life and death,” a statement that convincingly supports the conclusion Mariza eventually came to reach. When you listen to one of Madredeus’ carefully-concocted creations — O Espírito da Paz (“The Spirit of Peace,” EMI, 1994), for instance, or their 2000 compilation Antologia (Metro Blue) — you experience an atmosphere of calmness blanketed against a soundscape of six-string Spanish guitars; mixed with harmonically absorbing accordion flourishes grounded firmly by the cello’s deep-bass fullness; punctuated intermittently by synthesized keyboards, originally programmed by Rodrigo Leão, the other founding member, and later by Carlos Maria Trindade, the producer and piano player on Mariza’s Fado Curvo. The urge to hold back one’s tears, then, is diminished amid the gentle sweep of her voice — delicate, supple, and ethereal — as it passes over you in soft, undulating currents. There are but a handful of performers that can do this to a person. Teresa Salgueiro happens to be one of them. 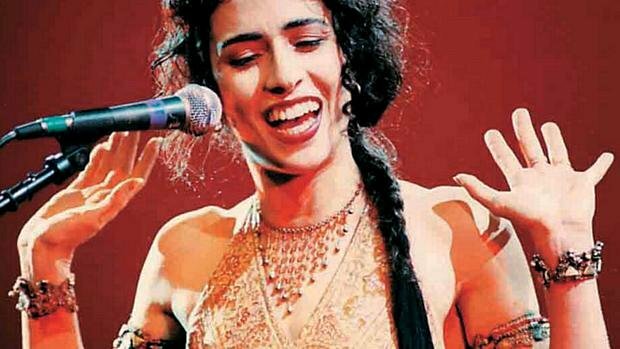 In the late 1980s, while still a teenager, Salgueiro was discovered working as a singer in a Lisbon bar by Magalhães and Leão, who asked her to join their newly formed band of five. Impressed by their sound, she agreed to increase the number to six by becoming the group’s only female member. “A gift of nature,” Magalhães conceded. “It was strange to find someone who is 17 who sings with [such] joy and with the same timbre and vigor as the voices people remember hearing in Portugal.” Not for nothing was she billed as the number one “pretender” to the great Amália Rodrgues’ fado throne. Resultantly, Madredeus was lifted to local prominence during an especially fertile period for world music, where the ethnic diversity of such artists as The Chieftains, Enya, The Gipsy Kings, Youssou N’Dour, and Yanni was much celebrated and highly in vogue. The presence of someone as young as Salgueiro only added to the formula. Even so, the group remained stubbornly peninsular-bound. Their compelling soundtrack (entitled Ainda, or “Still”) was rushed into production in order to fill the skyrocketing demand for the group’s music. By then, Teresa’s disarming and totally un-self-conscious portrayal of herself, pitted against Wenders’ cinematic alter ego, actor Rudiger Vogler, became a winning combination with viewers. The film went on to do for present-day Lisbon what Black Orpheus had done for Rio in its sixties heyday. From there Madredeus toured all over Europe, as well as Africa, Asia, the United States, and South America. 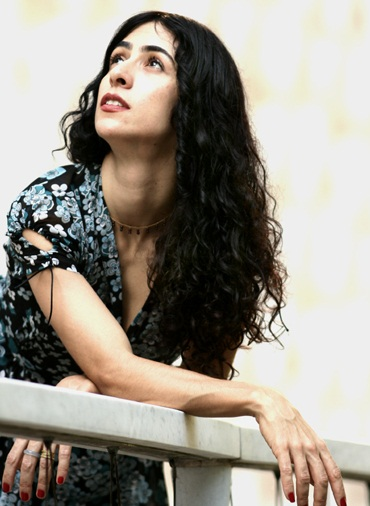 During a yearlong 2006 sabbatical, Salgueiro resolved to strike out on her own, eventually reemerging as a well-regarded soloist in São Paulo for a January 2007 series of performances at the Golden Cross Jazz Club (formerly Tom Jazz) in the high-profile neighborhood of Higienópolis. The concerts were held to commemorate her recently concluded EMI project, Você e Eu (“You and Me”). As ambitious a recorded undertaking as any in recent years, the CD showcased the entire spectrum of Brazilian popular song, beginning with the thirties and forties, the so-called “golden age” of samba and choro; moving up to the prime bossa nova period of the 1950s and 1960s; right down to the chart toppers of the mid-1970s. Included were such classics as “Marambaia,” a lively number often associated with Elis Regina; “Na Baixa do Sapateiro” (“Bahia”) and “Pra machucar meu coração” (“To Wound My Heart”) by the ever-popular Ary Barroso; “O samba da minha terra” (“My Country’s Samba”) and “Saudade de Bahia,” both by the late Dorival Caymmi; Luiz Bonfá’s lilting “Samba de Orfeu” from the movie Black Orpheus; the beautiful “Se todos fossem iguais a você” (“Someone to Light Up My Life”) from Tom Jobim and Vinicius de Moraes’ inaugural Orfeu da Conceição collaboration; a smattering of Jobim’s best work with other wordsmiths (“Estrada do sol,” “Inútil passagem,” “Triste,” and “Meditation”); and concluding with Chico Buarque’s prize-winning “A banda” from 1966. The best that could be said about Salgueiro’s attempts at this more pop-driven burst of song is that she excelled brilliantly in the fast numbers. A side-by-side comparison with the late singer-actress Carmen Miranda, who was herself of Portuguese extraction, left little doubt as to her rhythmic capabilities and care for note values. Teresa covered herself in glory on the lightning-quick “Marambaia” and on Jobim’s gossamer work, “Chovendo na roseira” (“Double Rainbow”). But she may have wandered too far from her fado roots — a codfish out of salt water, most likely — in the slower-paced bossa nova items. Here, her thick native-born accent became more of an actual hindrance than an obvious advantage. The dissimilar vowel sounds of her Lusitanian ancestry clashed with the more-rounded demands of the title tune, written by Vinicius with Carlos Lyra; or the highly literate “Insensatez” (“How Insensitive”), one of master Jobim’s loveliest incantations, done to flawless perfection by him and Frank Sinatra nearly four decades prior. There has always been some degree of hesitation among fellow Brazilians as to whether or not they will admit to a fondness for their mother country’s music. In this case, however, there can be no question of a certain singer’s unrestrained ardor for Brazil’s melodic inventions. On the heals of her successful live solo work — held over for several nights by popular demand — can there be any chance that Teresa will get back together with her old fado crowd? The answer appears in the credits for Você e Eu: listed as executive producer of the album, in addition to its head of mastering and art direction, is the leader and co-founder of Madredeus, composer-lyricist Pedro Ayres Magalhães. Burning her artistic bridges is definitely not a part of Salgueiro’s lounge act. For all their novelty and fame, Teresa Salgueiro and Mariza both represent, in their own specialized manner, the modern views of an already established, older order. Between them, however, they’ve developed certain undeniable traits. Some of the more familiar include a finely honed (if somewhat flamboyant, in Mariza’s case) fashion sense, an appealing voice, an attractive and outsized stage presence, an artist’s innate sense of what the public wants, business and financial smarts, and the big theatrical gesture. As a yardstick for superior vocal ability, big theatrical gestures (in the form of graceful arm and hand movements) are the stock-in-trade as well of another, better-known Marisa: MPB singer, producer, arranger, songwriter, and Tribalista, the Rio-born Marisa Monte. In an October 2002 interview for Brazzil magazine’s music editor Bruce Gilman, Marisa revealed, quite offhandedly, the real reason behind the spontaneous use of her upper extremities in many of the artist’s live presentations. Whatever it took, for the past 20 years Marisa Monte has been communicating many a song’s meaning not only through sweeping hand gestures but also via her superb singing voice and stunning good looks on stage. Today she stands as one of Brazil’s most dependable musical exponents, a full-blown example of the heterogeneous nature of talent. The possessor of an obviously open and gifted mind-set as well, the carioca native let Gilman in on some of her “secrets” with a purposely winding back-story involving her own artistic coming of age: “When I was eighteen, I went to Italy to study opera, which gave me the opportunity to study the repertoire and to live outside Brazil awhile. But after living in Italy for a year, I began to see Brazil with different eyes. “For the first time, I could see how rich, original, and unique Brazilian music is in relation to the rest of the world. I saw myself a long way from home and realized how hard it was going to be to put aside all the cultural weight, the density of my background. Never before had I felt so Brazilian. “To escape my background, to forget all the culture that had been implanted since birth, I would have had to live outside of Brazil for the rest of my life. I also knew it was going to be very difficult for me to put aside modern production techniques. By way of example, she has surrounded herself with an impressive lineup of individuals with “other artistic expressions”: Carlinhos Brown and Arnaldo Antunes, Nando Reis and David Byrne, Ryuichi Sakamoto and Laurie Anderson, Bernie Worrell and Philip Glass. But the first to unlock the possibilities may have been her longtime supporter, journalist, songwriter, and television and music producer Nelson Motta — not quite the haute voix of the avant-garde, but an astute judge of latent talent nonetheless. What about all those recordings that were expected to have materialized from her stage success? Not to worry. Unlike many artists who issue album after album of mindless filler, Marisa has spent much of her free time in thoughtful contemplation as to what exactly to leave behind for posterity. To date she’s recorded a grand total of eight solo albums and one group effort — not very impressive numbers in themselves, but hardly second-rate studio fodder either. Her first, MM (World Pacific) from 1989, was a live performance based on an early TV special. If anything, it set the tone for what was to become her signature eclecticism. The songs were drawn from all quarters, and highlighted the work of a contemporary rock band, an Italian pop-rock artist, a purveyor of Brazilian soul, and a psychedelic group from the seventies, along with a few standard-issue set pieces from different time periods, the most memorable of which was a version of the Motown classic “I Heard It Through the Grapevine” (Strong and Whitfield), as well as tracks that paid tribute to Carmen Miranda, George and Ira Gershwin, and Kurt Weill. 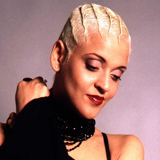 Despite its one-word title, her second album Mais (World Pacific, 1991) did not feature “more” of the same, but took a different turn in that she co-wrote many of the numbers with ex-Titãs partners Reis and Antunes. A cover of Caetano Veloso’s “De noite na cama” (“At Night In Bed”) and selections from sambistas Cartola and Pixinguinha, in addition to an item by a gentleman identified only as Nordestino, rounded out the program. She continued along this line for her next major outing, the improbably christened Verde, Anil, Amarelo, Cor de Rosa e Carvão (Blue Note, 1994), marketed in the U.S. under the banner Green, Blue, Yellow, Rose and Charcoal. The guest list for this super-production read like a name-dropper’s guide to the musical galaxy, i.e., Gilberto Gil, Carlinhos Brown, Celso Fonseca, Paulinho da Viola, Velha Guarda da Portela, Messrs. Glass and Worrell, Romero Lubambo, Fred Hammond, and so forth. It was perhaps Marisa’s biggest seller abroad. Her subsequent work, Barulhinho Bom (“A Great Little Noise,” EMI, 1996), a double-compact disc combination of live performances and studio proficiency, solidified her pop-music credentials; in fact, it went above and beyond anything she had done before. From that point, extensive touring, the presenting of more and elaborate stage shows, playing on and producing albums by other artists — even the creation of the record label Phonomotor for the purpose of preserving her own projects — took precedence over domestic bliss. Nevertheless, two more releases followed. Memórias, Crônicas e Declarações de Amor – “Memories, Chronicles and Declarations of Love” (Blue Note, 2000), was a title that seemed lifted from Mr. Motta’s recently published reminiscences. It won a Latin Grammy Award for Best Pop Album in 2001. Topping even that envious honor, the 2002 launch of Tribalistas on Phonomotor, with fellow participants Carlinhos Brown and Arnaldo Antunes, hit Number Twelve on the Billboard charts, earning generous Grammy notices and winning one for Best Brazilian Contemporary Pop Album. Not until she became pregnant with her son did Marisa take some needed time off. Following a three-year hiatus, she came back, fully charged, in 2006 with two back-to-back albums of mostly new material by her and Tribalista band members Brown and Antunes, Universo ao Meu Redor (“Universe All Around Me”) and Infinito Particular, both for EMI. With a little help from some old friends (Adriana Calcanhotto, Caetano Veloso, Jaques Morelenbaum, Eumir Deodato, João Donato, Paulinho da Viola, Philip Glass, and Daniel Jobim), these works turned out to be winners as well. Marisa herself took a more proactive role in their production, exemplified by her mastering of some rather exotic instrumentation. Many of those she used, such as the auto-harp, melodica, kalimba, metaphone, cajon, vocoder, baixo, cowbells, and reco-reco, sounded suspiciously like leftovers from a discarded Uakti session. Even computerized electronics were no barrier to her experimentation. Nelson Motta was right about a lot of things. Mostly, he was spot-on concerning his former protégée’s having the patience and self-discipline to take her musical ambitions to Valhalla-like heights. Of course, Marisa has never been content to stay within predictable parameters — and, as far as we can tell, no safety net was ever extended for this peerless risk-taker, either. Turning once more toward the past, if she had lived during the early part of the twentieth century Marisa would surely have raised the bar for the likes of Rosa Ponselle, Geraldine Farrar, Maria Jeritza, Claudia Muzio, Lina Cavalieri, and other prima donnas of their ilk. And that’s no small feat, since they were all true operatic superstars of the very first order, renowned as much for the beauty of their voices as for their fabulous looks on stage.